This 1920’s villa has been lovingly restored to provide accommodation for up to 10 guests, right in the heart of Tanunda. Located in the heart of the Barossa Valley, this guesthouse is ideally located for winery visits. 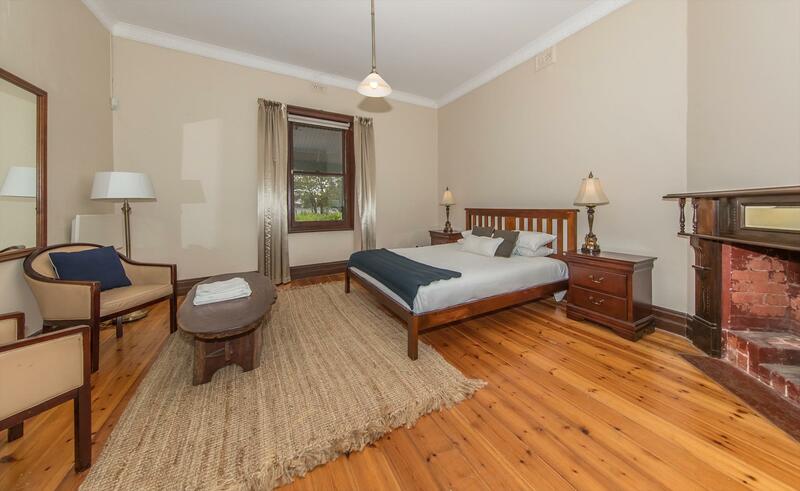 It is six minutes' walk from Tanunda. The four bedroom Barossa Vineyard Guesthouse accommodates eight guests. You can enjoy lovely sunset and vineyard views. This self-contained house boasts a large lounge area and a separate dine-in kitchen. There are several local dining options within 10 minutes' walk. The bathroom offers a deep, claw-foot bathtub, perfect for relaxing with a glass of wine. Barossa Vineyard Guesthouse is just 400 metres from the Barossa Wine and Visitor Centre. Adelaide Airport is 60 kilometres away. 1.Minimum of 2 night stay. 2.Confirmation and payment confirms acceptance of Terms & Conditions. 3.Cancellation more than 45 days out: Refund of money paid less $50 administration fee applies. 4.Cancellation 45 - 16 days out: Refund of money paid less $100 booking fee applies. 5.Cancellation 15 days or less out: Forfeit of all monies paid (*subject to our discretion for Extenuating circumstances) 6.Strictly no-smoking inside the premises. If evidence of smoking is detected a cleaning fee will be charged to the cardholder. 7.We realise accidents happen but any wilful damage will be charged to the cardholder. Strictly a NO PARTY Policy. 8.Keys: A fee of $15 will be charged for lost or unreturned keys. Please report lost keys immediately.